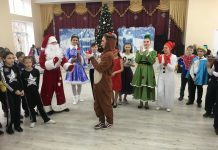 American Councils for International Education, through the FLEX program, organized a workshop for 76 alumni of the program on November 9-12 in Irpin, Ukraine. Alumni from across Central and Eastern Europe from the countries of Estonia, Latvia, Lithuania, Moldova, Poland, Romania, and Ukraine attended the workshop where they learned approaches to improving their communication and teamwork skills and developed project management and design skills. 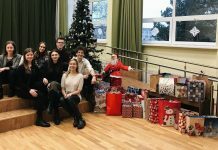 Now in January, alumni are back in their communities across Europe and have begun organizing 23 joint community projects, thus combining the skills that they learned with their passion for service. Outside of the classroom, alumni were introduced to the host nation, Ukraine, and had many opportunities to learn about the lives and cultures of their fellow alumni living in Central and Eastern Europe! 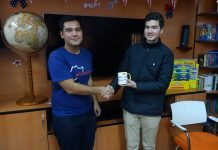 Alumni from each country cohort presented about their countries and shared a “Day in the Life of FLEX Alumni,” highlighting how connected and how similar our lives are. Alumni also led demonstrations of their countries’ traditional dances, sharing with each other their cultural histories. Participants also attended a city tour of Kyiv; throughout the tour, they administered a needs assessment exercise, whereby workshop participants collected information about the Kyiv community’s needs and knowledge about recycling programs in order to share with the Kyiv alumni community. With the closing of the Eastern Europe FLEX Ability Workshop, #EEFAW17 participants put their four days of work on display and pitched their project ideas. Learn more about the amazing projects that alumni created and get ready for a surge in alumni activity throughout Eastern Europe! The workshop maintained a strong social media following, with alumni and interested parties from around the globe following the workshop activities. 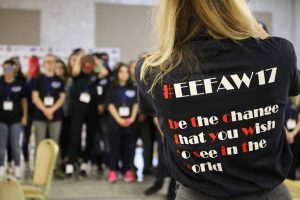 The hashtag #EEFAW17 was used in all social media posts and FLEX alumna Mariam Nozadze ’14 (Tbilisi, Georgia/ Belleville, IL) created three videos highlighting the key training aspects of the workshop and the brilliant energy of the trainers and participants. 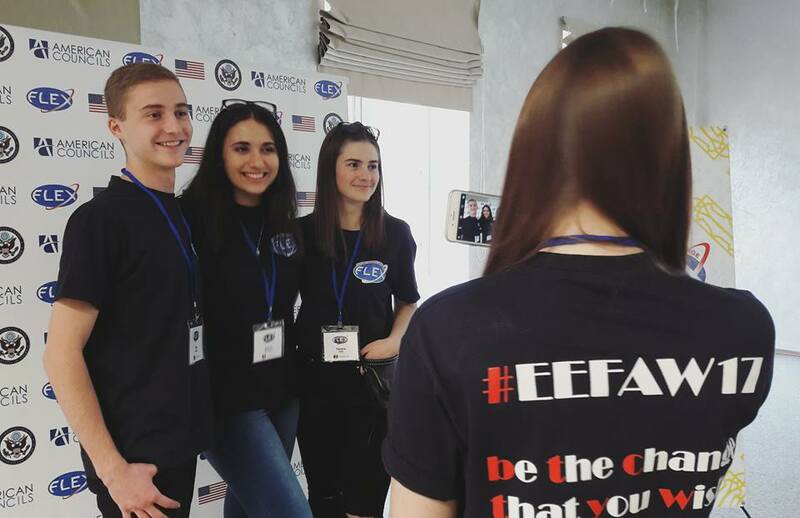 The Eastern Europe FLEX Ability Workshop #EEFAW17 was made possible by funding from the U.S. Department of State Bureau of Educational and Cultural Affairs through the FLEX grant.